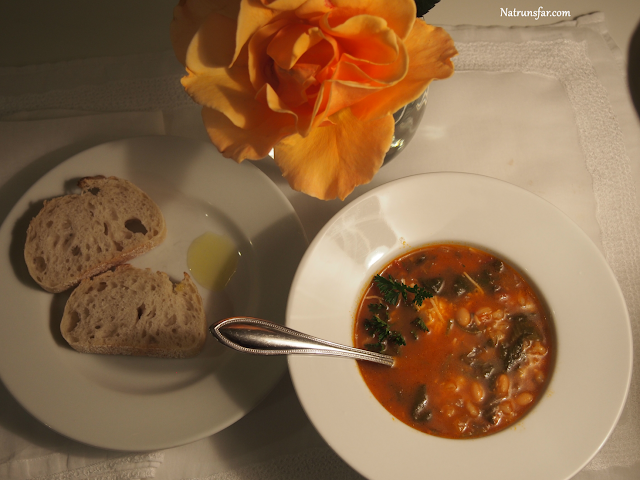 I made a really warm, soothing and delicious soup that I'd love to share with you. It was so perfect for us last night. SBG is nursing a cold and coughing quite a bit and after a super busy weekend, we were all dragging by the time Sunday afternoon rolled around. Everyone walked away from the table with full, warm bellies, ready to soak in the bath and go right to sleep. We are still having a bit of June gloom and it was slightly chilly + overcast which was so perfect for this soup! Brought it to a boil and then let it simmer for 30-45 minutes. While the soup was cooking, I made the barley separately. Simply boil 3 cups of water and then add 1 cup of barley and simmer for 50 minutes. 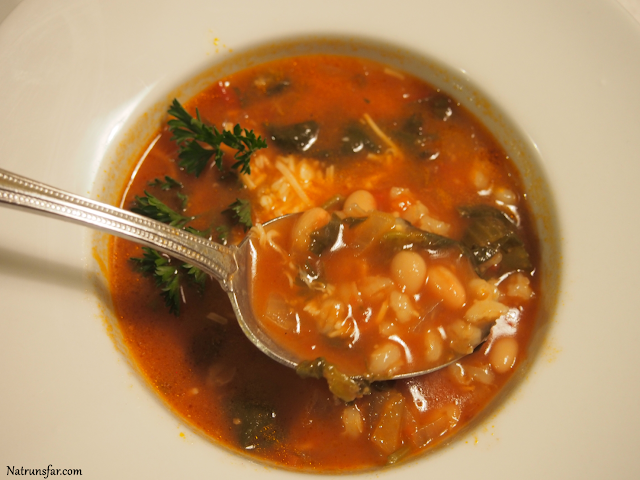 When the barley was finished cooking, I added it to the soup. Heat the olive oil in a large soup pot over medium high heat. 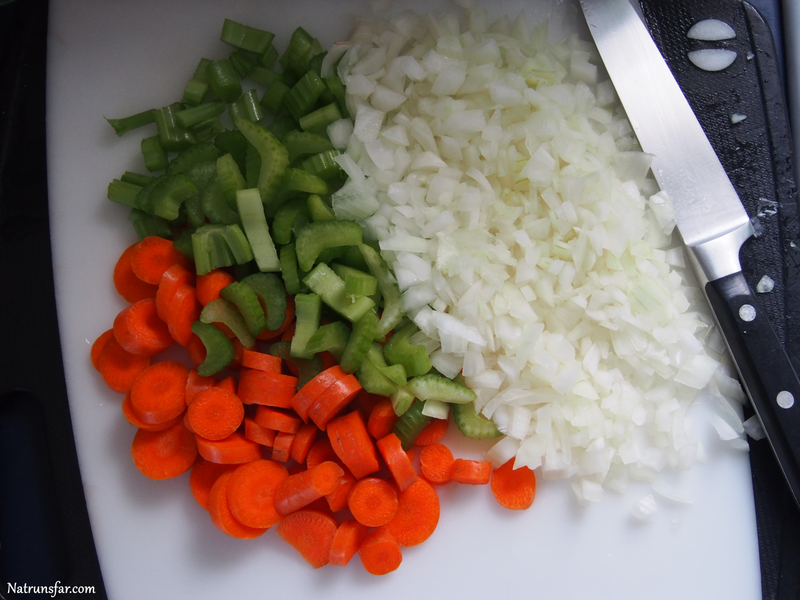 Add in the carrots, onion and celery and saute for about 5-7 minutes or until the vegetables start to soften and brown slightly. Add in the garlic and saute for another 2-3 minutes. 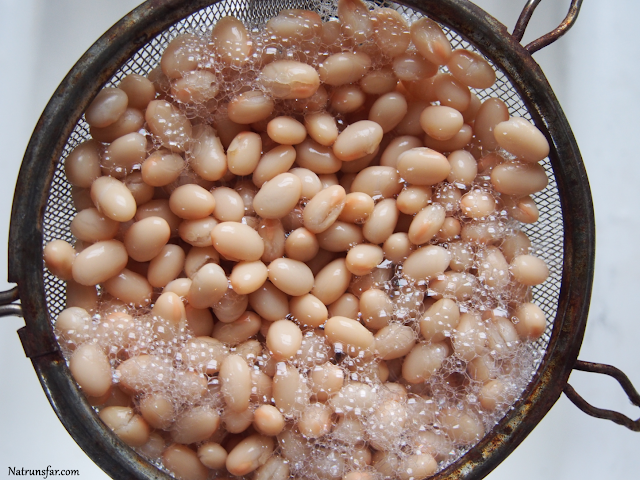 Add white wine and scrape the bottom of the pot with a wooden spoon removing any browned bits. Cook for 3-5 minutes or until wine has reduced by half. 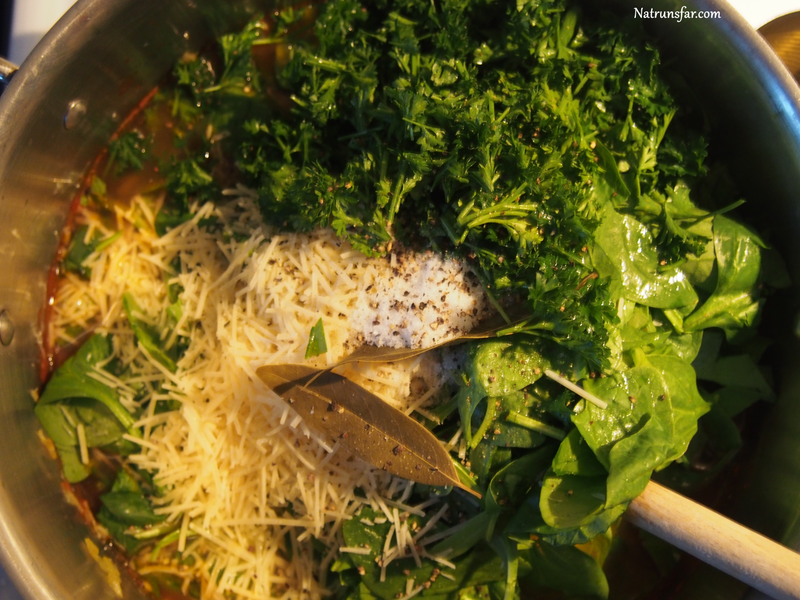 Add in all the ingredients from crushed tomatoes to parmesan cheese. Bring soup to a boil. Cover and reduce heat to low. 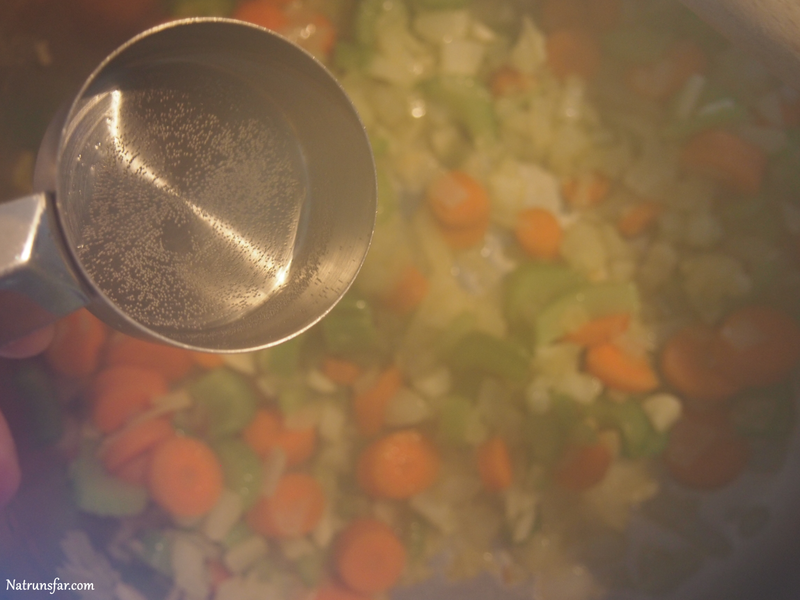 Simmer soup on low for 30-45 minutes. While the soup is cooking, cook the barley. Boil 3 cups of water and then add 1 cup of barley. 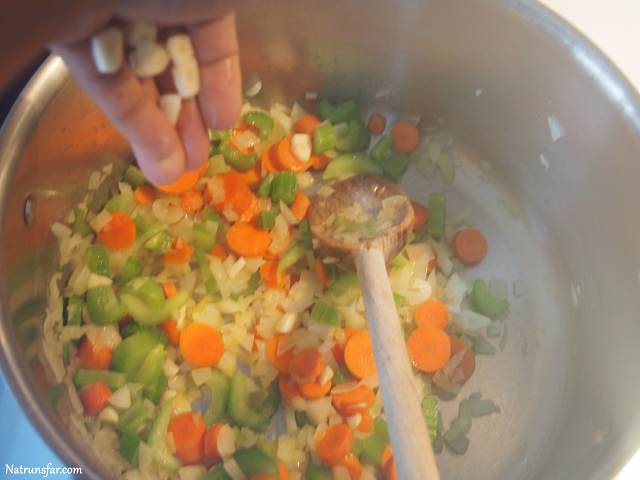 Simmer for 50 minutes and then add barley to the soup. Add the chopped parsley before serving. 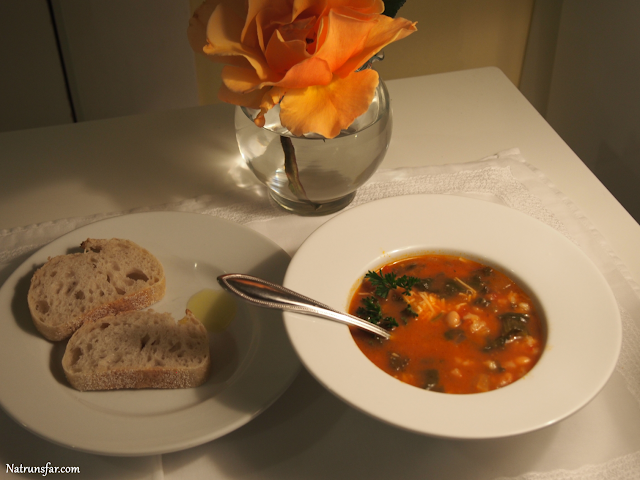 Serve hot soup with extra parmesan cheese and parsley if desired. 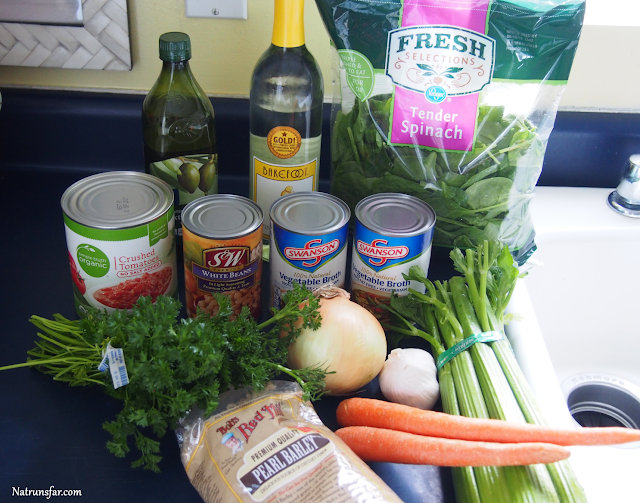 I am linking up again this week with Tina and Deborah for Meatless Monday! Definitely pop over and check them out for fantastic recipes - you'll be glad that you did! What is one word to describe your weekend? My daughter graduates from preschool on Friday!